Now is it a good idea to wander down random steps into a dimly lit basement beneath some shops? Well if you are looking for some really authentic chinese food in Flushing it is practically compulsory. 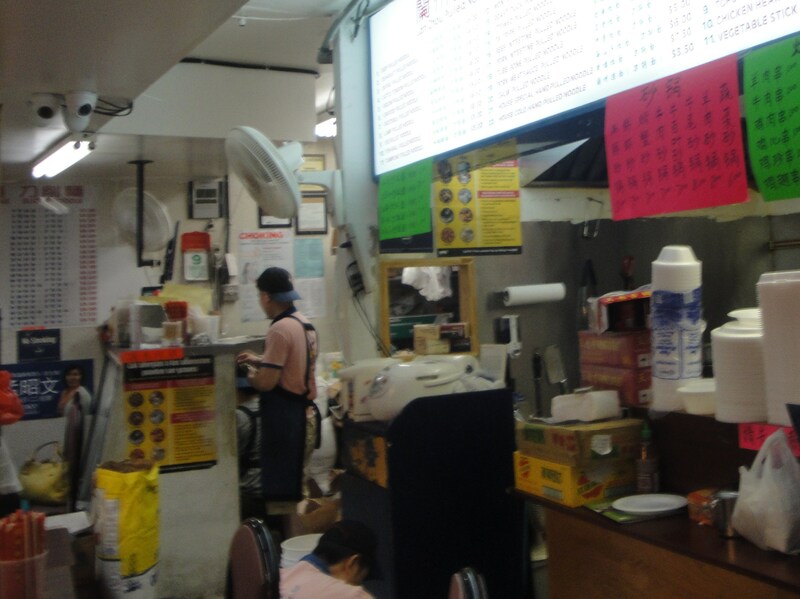 These steps lead down into the bowels of the Golden Mall on Main Street in Flushing Queens, and into a rabbit warren of stalls selling delicious and mouthwatering chinese snacks. 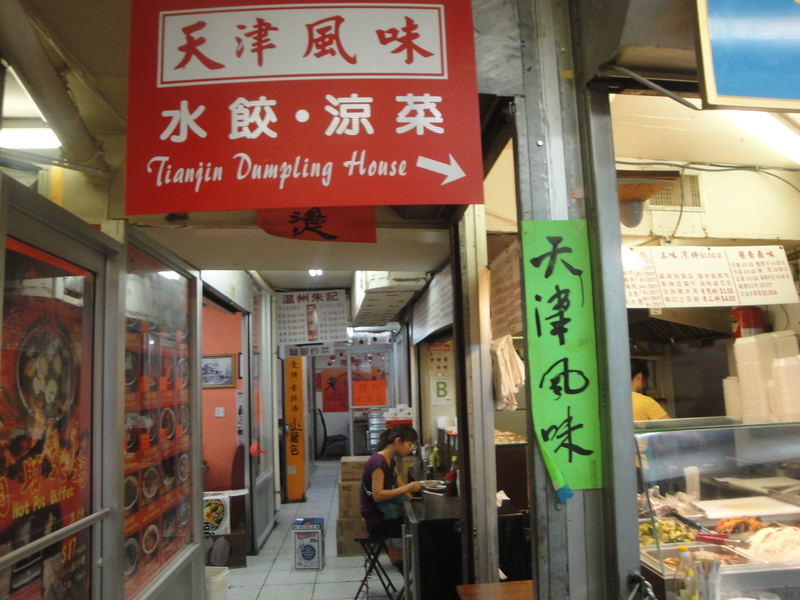 I was following the sign towards the Tianjin Dumpling House, firstly as it was selling dumplings, secondly it was one of the few signs I could read, and thirdly Tianjin is the home town of one of my work colleagues so I had to try that stall out. I was glad that most stalls had pictures alongside the chinese scripts as it is some time since I lived in China and all I can remember is how to ask for toilet paper, a cold beer, and some of the food, but I cannot write or read any of it any more. So on that basis I should be perfectly equipped to get myself some dumplings in this food court. 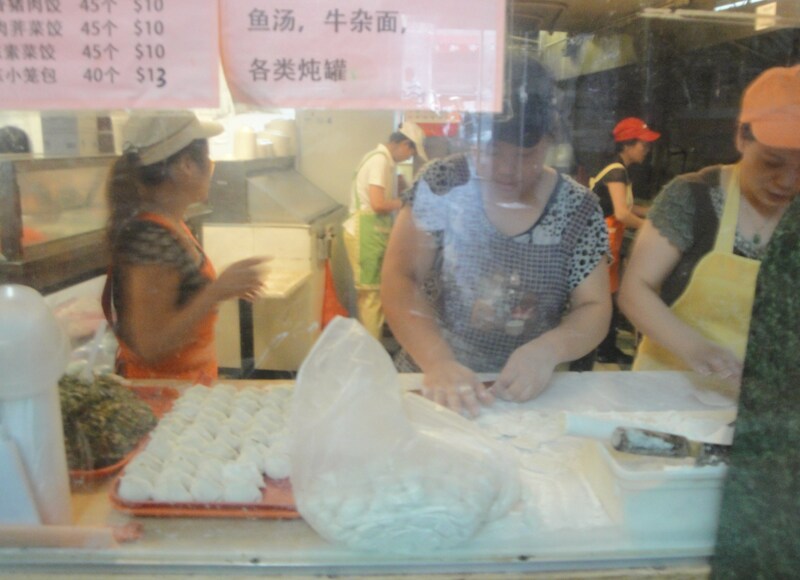 In the end I just had to point at the plate and hand over 3 dollars and sit back to watch this lady freshly make my dumplings from scratch, Now I was getting excited and I knew these were going to be really good. I guess my chinese may have been useful if I had spoken as it turned out that these dumplings are boiled, not steamed, or fried. They were really good though if a little dangerously hot, boiling juice squirted out as you bit in to them. The filling was incredible the pork meat was mixed with chives, each piece of the filling tasted so fresh, they were like 10 times more flavourful than I have managed to get outside of China before. These stalls in the basement were truly making authentic food. 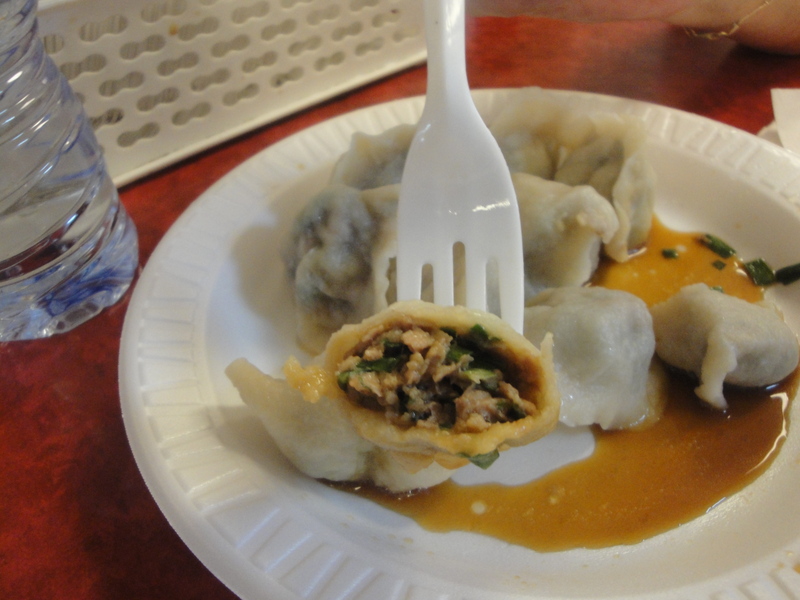 Forget going to Chinatown in Manhattan, Flushing is the place to go. 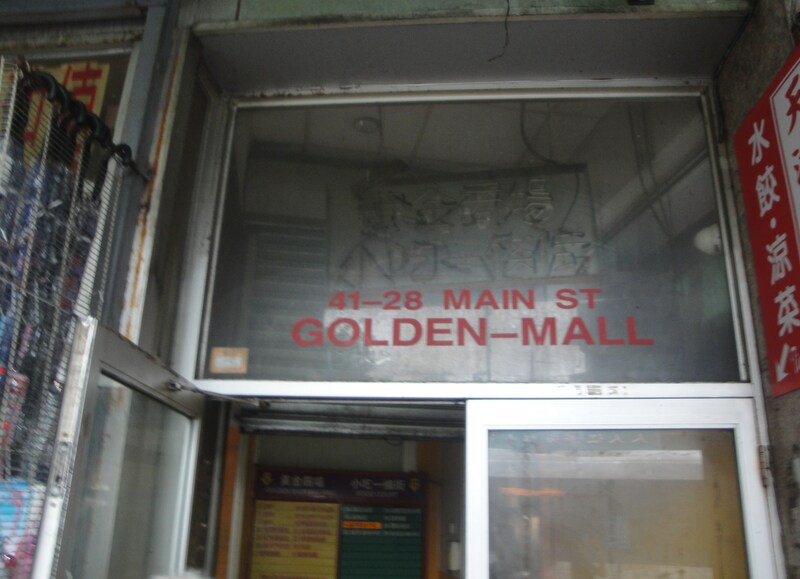 Golden Mall is located at 41-28 Main Street Flushing and has two floors. We went down into the basement and did not see the first floor. Funnily enough I saw this place on Bourdain’s No Reservations and did not realise it was the same mall until I googled the web to check for the names. Also I found out that I didn’t eat at the Tianjin Stall after all, but never mind where it was it was still brilliant. 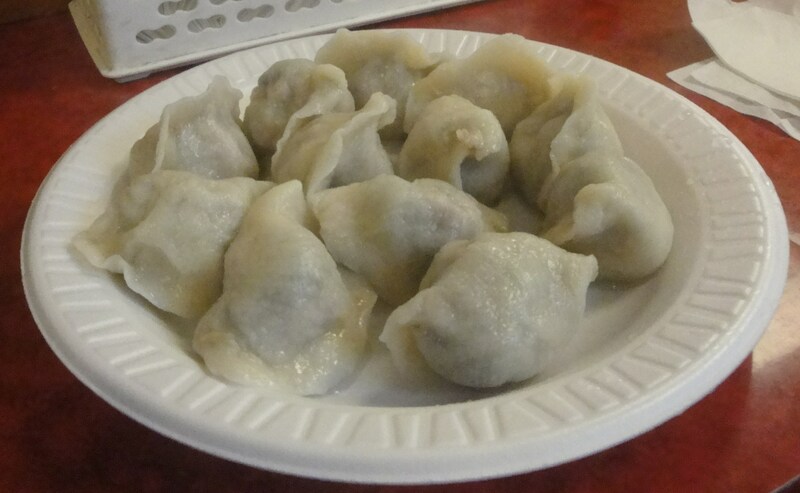 Can’t wait to go to Flushing to check this out — the pics are fantastic, I want dumplings right now!